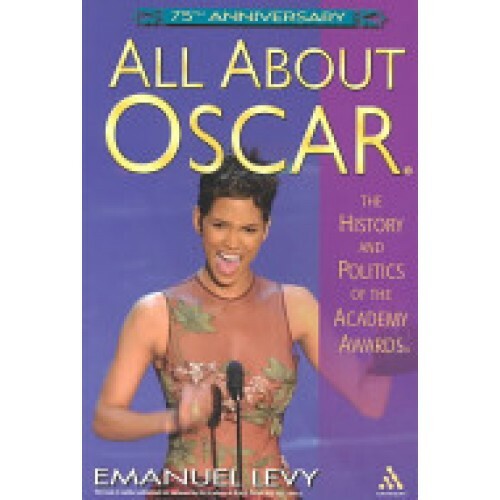 This is a book for all film lovers to savor as, together with the Academy of Motion Picture Arts and Sciences, they celebrate 2003 as the diamond anniversary of the Academy Awards. Now in paperback for the first time, All about Oscar builds on Levy's well-known work on the Academy Awards over the past twenty years. It is both history and appreciation, chockablock with inside stories and little known facts. Do you knowaWho came up with the idea for the Academy Awards and why? Who votes? Who is the youngest winner? The oldest? Who has been nominated the most times without winning? Where 'Oscar' gets its name? All-new chapters added to the previous edition (Oscar Fever, 2001) include: 'The Luck of the British,' 'The Foreign-Language Winners,' 'The Importance of Being Eccentric,' 'Is Oscar a White Man's Award? '*This book is neither authorized nor endorsed by the Academy of Motion Picture Arts and Sciences.